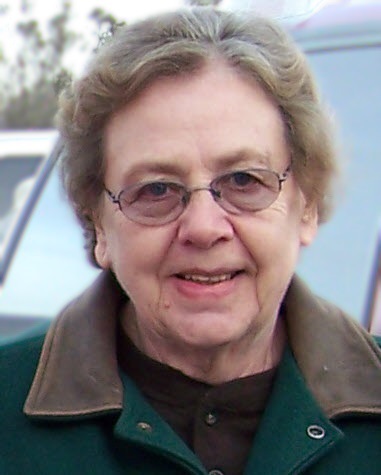 Thelma Sorenson, age 79, of Chaska, formerly of Arlington, passed away at Auburn Manor in Chaska on Sunday, Feb. 3rd. A memorial service will be held at the Chapel at Auburn Manor in Chaska at 2 p.m. Saturday, Feb. 16. A time for relatives and friends to gather will be one hour prior to service time at the Chapel. Memorials preferred in lieu of flowers. Thelma Jean Sorenson (Brichnac) was born in Bagley to Frank and Alma (Johnson) Brichnac on June 29, 1939. On Nov. 21, 1959, she married Gordon Delano Sorenson in Bagley. Thelma was primarily a homemaker, though she also worked at several companies during her lifetime. She loved floral gardening, woodworking with her husband, being outdoors, and fishing with her family. She is survived by her daughter, Tracy (Jim) Kappes of Kerkhoven; sons, Talley Sorenson and Brian Sorenson both of Shakopee; grandsons, Thomas and Christopher Kappes; and three siblings. Thelma is preceded in death by her husband; parents; grandson, John Christian Kappes.